Mindy's fitness Journey: My week, healthier water? and giveaway! OMG! This is my 100th Post! Yay! Well, it's been a crazy and not so fun week. 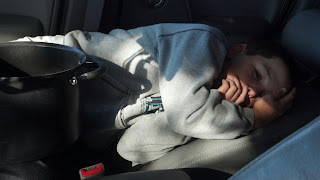 My best buddy, Bryce got home late Sunday from a trip with his dad for spring break. He came home with the sniffles, and I knew things would get worse. I had no idea that he would get a stomach bug on top of it! Yikes! So I was home for 4 days with a sick little man. I hated seeing him so sick. Hurts my heart! So I would have loved to post this on Tuesday, but life kept me away! Water... To live healthy, we MUST drink it, RIGHT??? 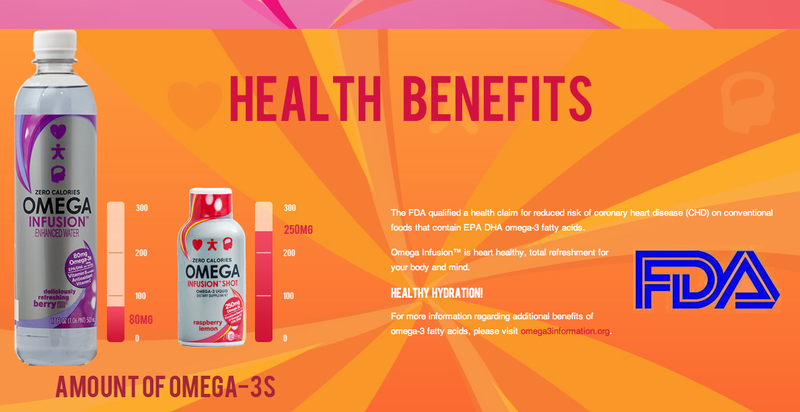 I found out that one bottle of Omega Infusion water delivers 80 mg of essential omega-3s (EPA/DHA), 200% of the recommended daily value of vitamin C and 80 % of four B vitamins. I love the idea of healthy hydration, and even more, I love that it is zero calories. Most of all, I love the price. It can be found for $1.99 a bottle. Please connect with them on Facebook and Twitter. My very good friend, Michelle is launching her new business. She sells beautiful jewelry. For those of you who have been following my facebook page, Mindy's Fitness Journey, you know that she has the most beautiful pieces. Well, she has given me the opportunity to give one away to a lucky follower of mine! Yay! I drank 80 ounces of water today which makes me feel great and cares for my body, I consider this self love! That bracelet is beautiful, Mindy! I'm almost ashamed to admit this, but I haven't really taken time to love myself today - yet. :) The hubs and I are getting read to go out to dinner in a little bit so I'm totally counting that. I came home from work and took a nap before getting kids from daycare. 5 days in a row of getting up at 4 am did me in. Felt so more refreshed and ready for the evening! I bought myself a new bike! Now I can keep on with getting my life back! I did my daily 45 squats! Beautiful! I love the simplicity of this! A nice leisurely walk and some 'beauty care bootcamp' this morning. 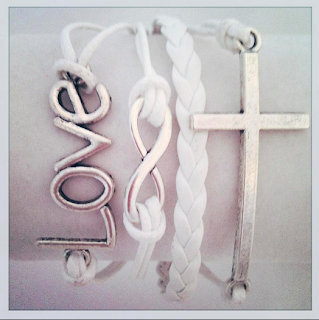 Love, love, love those bracelets! Thanks for the giveaway! I worked out and drank a ton of water. Didnt have a "love" yourself kinda day but broke down and had a yummy greasy cheeseburger with fries. My first "cheat" since I started weight watchers at the beginning of January. I hit a 30 pound loss this week and decided it was something I've been wanting for a while so went for it! Right back on track and not feeling bad for allowing myself a little (ok big) treat! I have been working on my spiritual health as well as my fitness a lot lately. I think they all go together. Also, I'm back in the gym again! I've listened to my body and have taken two days off from exercising and have gone to the Chiropracter to try to fix the soreness I'm feeling on my left side. In the past, I would have just kept pushing myself until I was stuck in bed for days in terrible pain. I'm learning to put my needs first. Trying to change my self talk to be more positive. I let myself enjoy the early morning in bed and wake up with teh sun through the window :) A lazy saturday morning. I stayed in bed until 9am when it was time to go to the gym. I love being lazy when I can, as I don't do it often. i ran 11 miles today, to keep my body in shape & my mind at peace. I was exhausted and instead of pushing it I took a nap! You nailed it about wanting something to drink that has taste. Sometimes I add lemon and that helps. 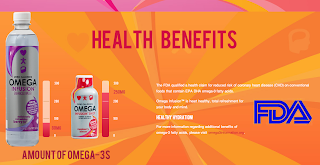 I will have to try out the Omega Water. Took a break from half marathon training to get caught up on stuff that has been neglected the last few weeks. Hmm, probably shouldn't have chosen Anonymous if you need to know who I am! I loved myself today by taking a nap while the kids napped. Man, did I ever need that! I caught up on some much needed sleep!! I loved myself today by remembering what make me me and why I love my family and why they love me back. I took a long walk with my dogs and husband-- it was so nice! I finally polished my toes!!! Yay!!!! Took a much needed rest day! Gorgeous bracelets. Took a nap after my massage was cancelled at the last minute. I am allowing myself not to worry about being off work so long with my broken ankle. I just found out today I have shin splints, so I am taking it easy. Thank you for doing this giveaway. The bracelet is beautiful. I love your page and I just started my journey in mid January. I've been listening to my body and not running through an injury! So glad I found your blog!! And yay for a giveaway!! I usually drink 65 ounces of water a day. I love drinking water more than any other beverages, especially after cycling. Love, love, LOVE the Infinity bracelet.